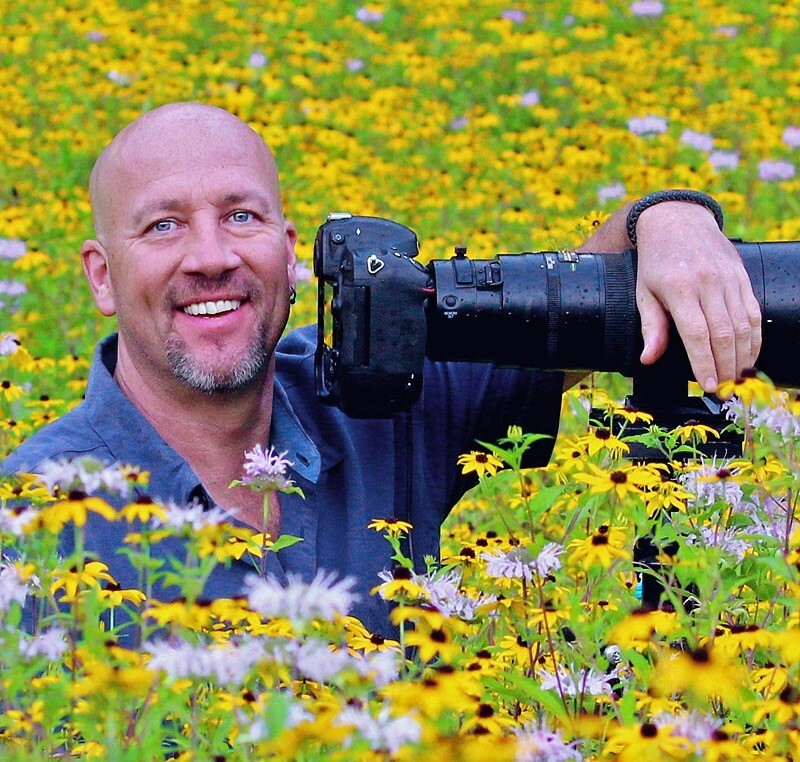 Steve Gettle’s images communicate his love for the wildlife and wild places of our world. For over thirty years, Steve has spent countless hours creating hundreds of thousands of photographs of the beauty around us. Steve’s images have been exhibited in galleries and museums all over the world, including the Museum of Natural History in London, as well as The American Museum of Natural History in New York. Steve was twice honored to have a one man show at The National Center for Nature Photography in Ohio. Steve’s work has been featured in many books, magazines, calendars, and other publications by, The National Geographic Society, Canadian Geographic, Audubon, Sierra Club, The BBC, The World Wildlife Fund, The National Wildlife Federation, Birder’s World, Nature’s Best, Wild Bird, Natural History, and many others. Steve’s photography has taken him all over the world. Although he travels extensively, he finds much of his inspiration in the natural areas surrounding his home, in Brighton, Michigan. Most great images are not spontaneous. They are more often well thought out and carefully crafted, taking in to consideration such things as, what you choose to include in the frame, lighting, the background, perspective and many other elements. ​In this talk Steve goes through his entire process. From seeing and identifying the image, to choosing the message, and the step by step progression of building the final composition. One of the greatest things about photography is its ability to communicate something to the viewer. Your images are very powerful tools which have the ability to reach out and touch people, crossing all language and age barriers. Every color, line, and shape you choose to include in your final image has an emotional effect on the viewer. ​During this lecture, Steve will talk about how all these different elements within your image can more effectively communicate your chosen message to your audience. Technological advances have now made stop action photography accessible to virtually every photographer. This all new two-hour program starts off with using just your camera and auto-focus for subjects on the move such as, birds in flight and running animals. We will discuss acquiring initial focus-lock, tracking your subject, optimizing your auto focus, and the creative doors opened by adding a simple infrared trigger system. We will then move onto using off the shelf electronic flash for true high speed photography for such subjects as hummingbirds in flight and other fast moving subjects. ​Lastly, we put it all together kicking open a whole new set of possibilities using high speed flash, infrared trigger systems, and even electro-magnetic shutters to create a whole new world of exciting imagery!